Enhance the beach mood of your dining room with the Florida Postcards Bowls - Set of 6. 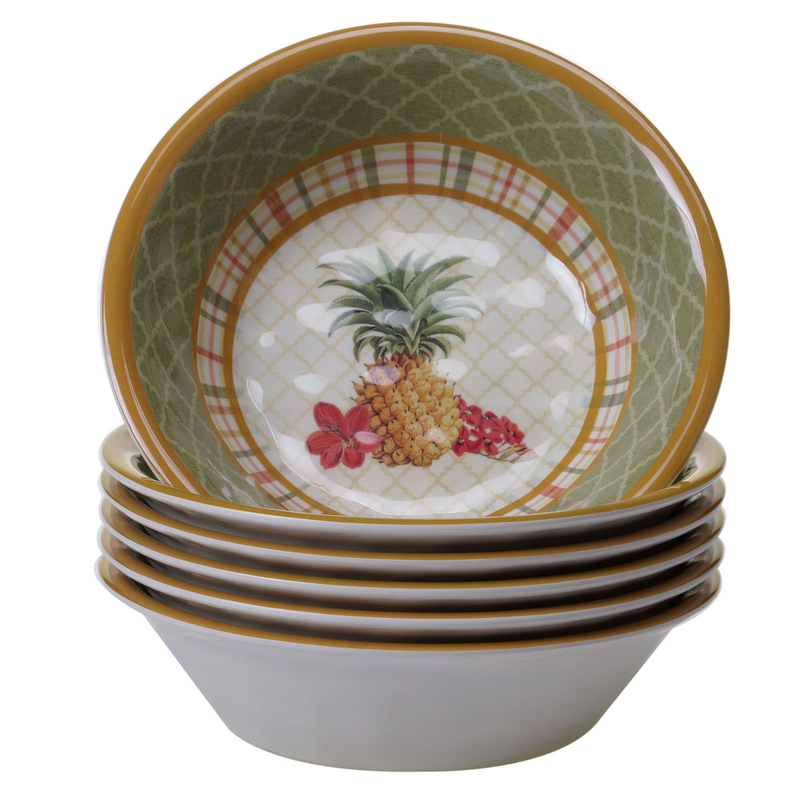 This nautical melamine dinnerware is crafted with a pineapple, flowers, and line patterns in warm colors. For many more options, we ask you to take a moment to shop our thorough array of nautical melamine dinnerware sets at Bella Coastal Decor now.